Read about the life of Bill Weeks, the history of Skyway herd and its breed influence. Learn about the early years of aAa® Animal Analysis, its 60-year development and national and international impact. The book has never-before-seen photos of famous breed animals including Tidy Burke Elevation and Chambric Esteem plus little known stories about great cows and bulls. 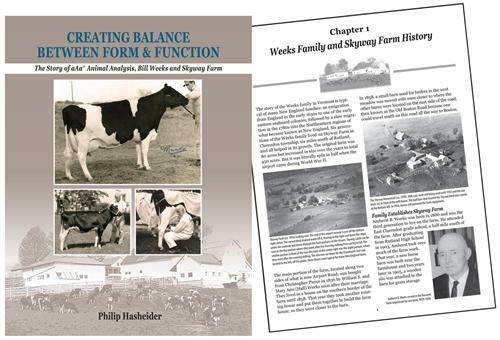 In the long-awaited sequel to the Creating Balance Between Form & Function book, Correction Lines continues to explore how balanced matings can influence a herd and lead to successful results. 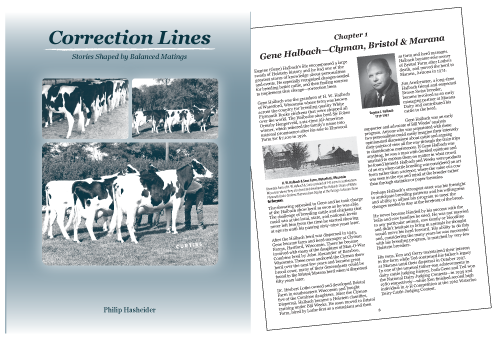 Learn the stories behind some of the Holstein breed’s famous herds. The 220-page book includes 27 in-depth stories based on personal interviews and behind-the-scenes events not told elsewhere. The book is illustrated with over 800 photos. CLICK ON THE BOOK'S IMAGE BELOW TO GET MORE DETAILS OR TO PLACE AN ORDER.